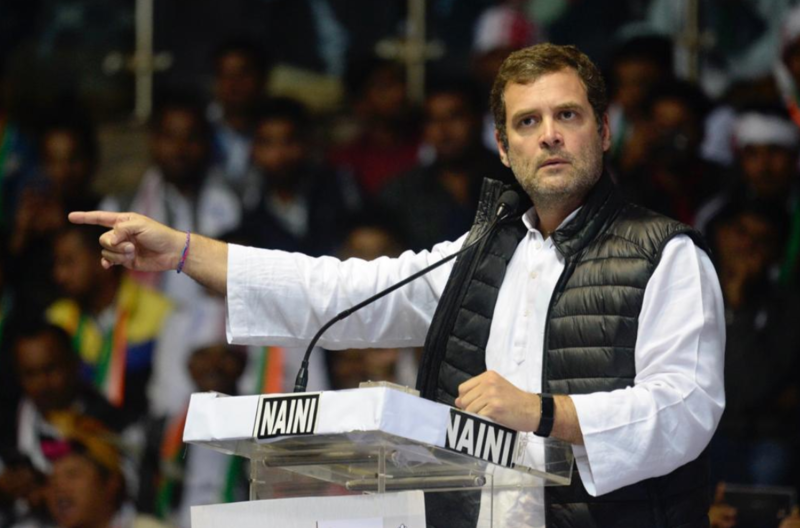 Congress President Rahul Gandhi on Friday tore into Prime Minister Narendra Modi for announcing an annual assistance of Rs 6,000 for farmers in the interim budget. Taking to Twitter, Gandhi wrote, “Dear NoMo, 5 years of your incompetence and arrogance has destroyed the lives of our farmers. Giving them Rs. 17 a day is an insult to everything they stand and work for.” Gandhi also used hashtag #AakhriJumlaBudget implying that the Modi government had indulged in fake promises even in its last budget. Goyal had also said that Rs 1.7 lakh crore had been allocated to bring food at affordable rates to families belonging to the poor and middle class. “Farmers severely affected by severe natural calamities will get 2% interest subvention and additional 3% interest subvention upon timely repayment of loans,” Goyal added in his budget. The announcement related to farmers is largely being seen as an attempt to woo farmers ahead of the Lok Sabha polls, when Modi will be seeking re-election as the prime minister. After 2019 election,All BJP people will be seen being beaten on the road,same like that happened in Assam.